Whatever industry your start-up or small business is in, generating fresh leads remains vital even when you have a stable customer base and healthy income. Without a reliable flow of leads, your business will stagnate and won’t grow. Be very precise about who you want to work with and for. Focus is crucial. Think of all the desirable factors and define your ideal prospect. Consider geography, demographics, socio-economics, industry or market, job role and responsibilities, as well as ‘psychographics’, i.e. attitudes, lifestyle, behaviours and values. Demographics will give you information about who you can sell to, while psychographics provide reasons why they may buy. You are going to have to overcome noise and volume. Remaining a relevant and useful resource for your ideal prospects is one way to do this. Ensuring that you are focused and understand the prospects you want to engage with and provide added value for is another. Hone in on the ‘super problem’ that you will solve for these prospects. It may be a ‘super benefit’; something that they desire to a level that is off the charts. But typically, and particularly in the B2B world, it’s more likely to be a problem that you can solve for them. Something that they lie awake at night worrying about. That’s their super problem. US marketing strategist Perry Marshall calls it the ‘bleeding neck’, which is a graphic description but one that certainly emphasises the prospect pain point. Finally, ensure that you are organised and have a CRM in place. It is essential to track your leads meticulously, and not to rely on memory, email or Post-It Notes. Not only will this save time, it will put you in control, and maximise the profitability of the time you spend on leads. 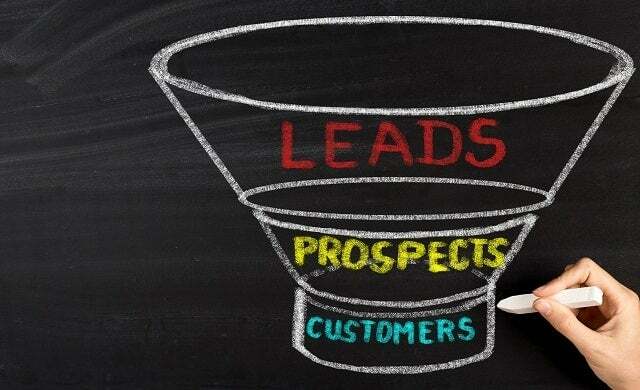 So, where can small business owners find sales leads? Get in contact with everyone you have ever worked with or for. Talk to people that you know socially and tell them what you do and who you do it for. Don’t be afraid to ask for contacts or introductions. Get used to consistently describing what you do and the results. Perfect that elevator pitch. Go through your rolodex, or that pile of dusty business cards on your desk. Be specific – you’re not asking these people for work (as they may not be relevant to you) but you want to see if you can help them in some way. Reciprocity is powerful. Ask existing customers to introduce you to other customers. Don’t be casual or pushy about it; guide them. I like to let customers know how much we love working with them, what type of prospect we’re looking for, and then ask them to introduce us. If I already know a company that we want to work with, I ask existing customers who they know there. With 450 million users, LinkedIn is a rich resource for B2B sales, but it can be overwhelming. Update your profile, post weekly updates, ask for introductions, connect with relevant people. If you want to participate in a group, then pick one and be a regular, focused contributor. LinkedIn may not be where your target audience is – they may be on Pinterest, Facebook or Twitter. Don’t spread yourself too thin. Focus on just one or two social channels relevant for your prospects and engage relevant audiences. Hold your own events. They don’t have to be big. We run a series of small workshops as our main sources of leads for one sales programme. And hold local events; you’ll be surprised who is just around the corner. Also make sure to attend other people’s events and, when you do, be gracious and support them – don’t undermine them or steal from their efforts. If you attend networking events, go to relevant ones and follow up with everyone that you meet. This may seem obvious but, away from meeting people face-to-face, this is the most accessible way to have conversations that lead to customers. If you don’t know who to call, make a list. Start with companies you want to work with – and then look them up online, in directories and on LinkedIn and simply call them and make an introduction. I’m not a fan of buying lists outright, but there are a number of different options for subscriptions, such as ZoomInfo, Lead411, Leadiro, LeadzGen and data.com. You can also rent databases or lists which may provide access to fresher contact details. Be ready to share what you do, and why it’s relevant. Search online for relevant contacts – an advanced Google search, for example, will provide a lot of detail. If you are looking for B2B contacts, then LinkedIn is an obvious place for research. Who else is targeting who you want to sell to? Do they compliment your business? Maybe you could work together on an offer, or an event? Think about where else your prospects may be. Is there a conference, an event, a workshop, an association, or a group that they may be in? Can you sponsor, speak or attend? You need to listen to prospective customers/clients as well as talk, or you may miss the nuance of what prospects really need and how you can help. Practice ‘active listening’, when you truly pay attention and aren’t just waiting for a gap when you can speak. If you can solve their problem, share how. If you can’t, then share any advice or introductions that may be helpful. Never try to solve problems that aren’t your core competency. This is where most small business owners, entrepreneurs and start-ups struggle. An endless list of distractions can result in whole days with no time dedicated to sales. Block out time in your schedule to prospect every day and to actively sell. Your future customers will thank you for this – and so will your business! Ready to prospect sales leads? Now read Startups’ guide to overcoming sales objections. Hazel Butters is a sales accelerator for Prompt Inc. and works with entrepreneurs, start-ups and corporates that need to bring in consistent sales-based revenue.